ABC’s Agents of SHIELD continues to slip in the ratings, but the most recent episode only dropped a small amount so maybe its numbers will finally level off. Wednesday’s airing pulled a 2.8 rating in the 18-49 demographic with 7.9 million viewers. That ratings score is a drop of just one tick from the 2.9 the show had the week prior. Still, SHIELD has dropped significantly from the 4.7 peak it bowed with just four weeks ago, and you have to wonder if ABC execs might be thinking about shaking things up a bit. Why has it fallen so far in the ratings? Well, if you read the current discussion on the show going on over at the Sci Fi sub-reddit at Reddit.com, you will find a lot of people nitpicking it and grumbling that it is boring. But the fact is that I believe a lot of people tuned in hoping for something closer to the Avengers movies which a television series just can’t do financially. In my opinion, that is why sci fi dominates at the Box Office, because on movie budgets it can deliver the spectacle people are hoping for. Television shows (at a fraction of the budget per episode) can come no where near that same level. 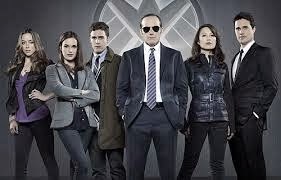 If the ratings for Agents of SHIELD continue to drop (they are still acceptable where they are), my concern is that ABC might eject the Whedon clan that is currently helming the show (and doing a pretty good job if you ask me) and do some retooling to it. If it levels off where it is now, though, and maybe even rises some, I think it should be safe. Keep a close eye on the numbers for the upcoming weeks to see which course it will track. Also on Tuesday, The CW’s The Originals saw its ratings increase to a 1.1 score in the 18-49 demo with 2.2 million total viewers. That Vampire Diaries spin-off series is now officially off to a strong start and even eclipsed its parent show’s ratings from last week when that one only managed a 1.0. In the next hour, Supernatural slipped down to a 1.0 rating with 2.3 million total viewers. Still, that one is going strong (for a CW show that is) so far in its ninth season. At the 10 PM EST hour, CBS series Person of Interest climbed to a 2.2 rating with 12.7 million total viewers. That show typically trends up during the season (the reverse of what most shows do) and currently looks to be on target to win a fourth season despite its ratings drop-off from last year (mostly driven by its timeslot change). On Wednesday, FX’s American Horror Story: Coven saw a drop in its numbers for its second Season 3 episode as it pulled a 2.5 rating in the 18-49 demo with four and a half million total viewers. That’s a notable decline from the 3.0 score it bowed with last week, but not unprecedented. And considering that the show averaged a 1.4 rating (based on the overnights) last year, it’s doing plenty good this season with no dangers of cancellation. Also on Wednesday, NBC’s Revolution continues its death spiral as it slipped to a 1.4 rating with 5.4 million total viewers. Probably the only thing that can save that show at this point is a scheduling change, maybe to Fridays to give the network a three hour genre block with Grimm and Dracula premiering next week. If not, this one could get kicked to the curb as soon as mid-season. Over on The CW, Arrow‘s numbers rose to a 1.1 rating with over three million total viewers. Looks like that one might be gaining some steam after a somewhat disappointing bow. And in the next hour, The Tomorrow People slipped a tick to a 0.8 rating with 2.2 million total viewers. Those are still decent numbers for The CW, though, and that one remains safe for now. The early numbers for the Thursday night shows will be available later this morning, so keep an eye on the Cancellation Watch Twitter Site for those and other ratings-related news. And believe it or not, there are still a few more premieres of genre shows on the way, so check out the Fall schedule at this link.